Micromax A67 hang on logo solved by flashing the phone using Miracle box. 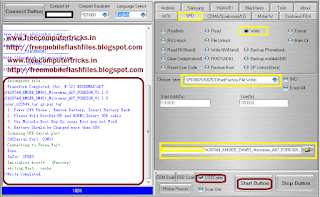 In this process you do not need a Hardware Info file (A67 HW Info File) to flash the phone, only select the Micromax A67 .Pac file on Miracle then write flash. As you know if you flash this phone using download tool then you must select the HW info file in it, which cause a white display, touch not working, lines on LCD, Half Display and also you may face any other problem, on this situation you need to change the HW Info File on LCD Download Tool and flash it again and again. So here in this process with Miracle box you just flash the phone using A67 firmware your problem will be solved. 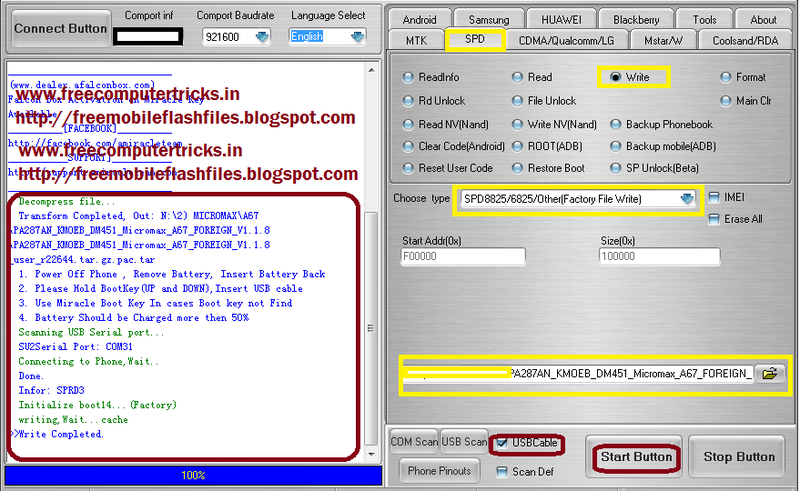 Micromax A67 Hang On Logo Solved:- Flash With Miracle Box. After flash success switch on the phone and see it will work fine, to flash the phone please follow the above screen shot. You need to set pinouts manually to flash the phone or can use modified USB cable to flash the phone also. To know more about Micromax A67 Pinouts setting search this website.